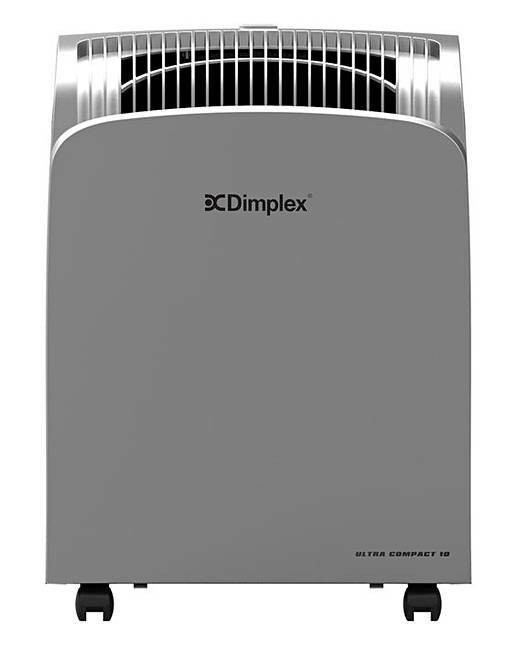 Dimplex Ultra 10L Compact Dehumidifier is rated 4.4 out of 5 by 17. 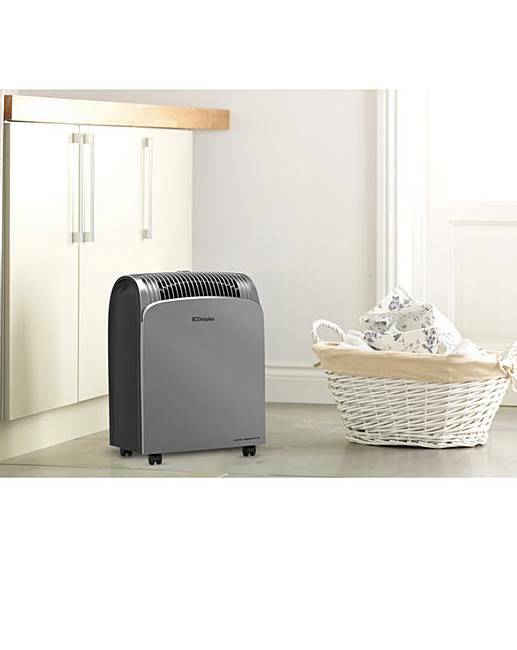 The Dimplex Ultra-Compact 10 Litre Dehumidifier is a small yet powerful companion for effectively drawing out excess moisture and damp. The ultra-compact design is ideal for small rooms and spaces, suited for a room size up to 15m squared (optimum room size 18m squared). Optimum room temperature 5 degrees Celsius to 35 degrees Celsius. 2.3 litre tank. On/off switch. Continuous drain option. 10 litre per day moisture extraction. 250 watt power consumption. Auto-defrost function. 40dB noise level. Washable filter. LED display. Full tank cut-out. Carry handle. Easy-glide castors. Safety cut-out. 1.5m power cord. 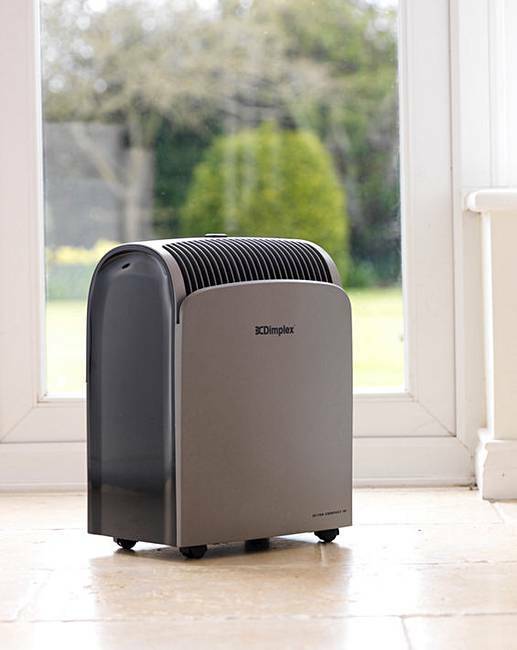 The Dimplex ultra-compact 10L dehumidifier costs from as little as 4p an hour to run and warms rooms up faster when your heating is on. One year manufacturer's guarantee. Measures H.41.5 x W.30.5 x D.21.5cm. Rated 4 out of 5 by MzDee from Very impressive I bought one to replace my last Simpler dehumidifier. This one is smaller but seems t be more powerful than the last. It is placed in the same location but it draws so much more moisture into the unit. The drawer is a bit fiddly to remove, especially when full but it is not a major issue. I would definitely recommend. Rated 4 out of 5 by Helenamac from Does the job Not the most elegant looking machine but it does what it says on the tin. Didn't realise how damp my house was! Tad noisy, but not too bad. Rated 2 out of 5 by lynnie66 from great at removing moisture Looks good, quiet , and removes moisture BUT blows out cold air. Description states it " warms rooms up faster than when your heating is on " which is most definatley not the case !!! Returned. Rated 4 out of 5 by Hayleyp3 from Dehumdifier I have had this for almost a year now and love the product. You can really notice the difference in the room after using the product for a few hours and it really does collect a lot of water. The only thing that stops me giving this a five star rating is the draw that collects the water. Its stiff pulling out to empty and when you put it back in its annoying as you have to make sure the wire is in the right place before it will push back in. I would however recommend to friends and family and my brother in law has a condensation problem and recently bought one of these off the site too. Rated 5 out of 5 by Foxy 47 from Amazing Couple of days, noticed a considerable change, soo pleased with this purchase ! !